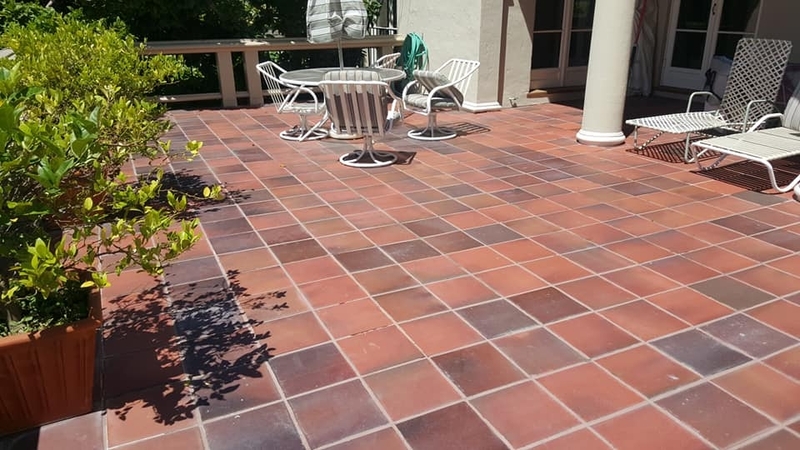 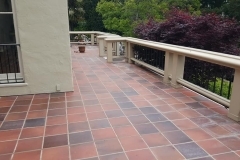 Tile Patio Repair, Oakland, CA - Masonry Specialists Inc.
A tile patio may look like a simple affair, but there's so much that goes into doing this job right. 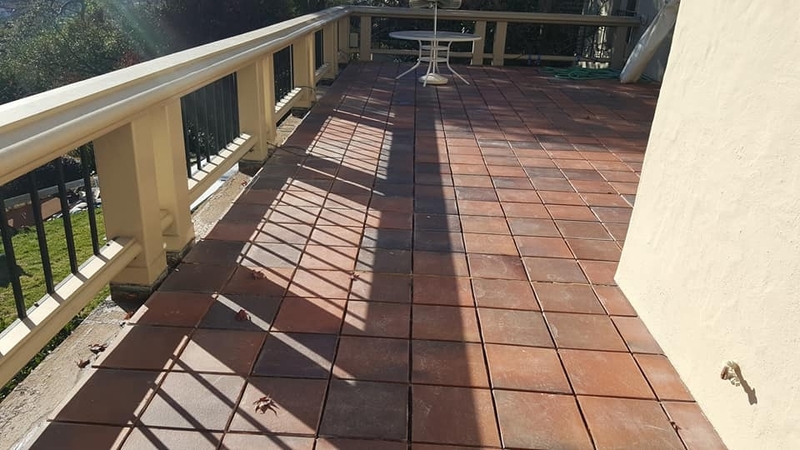 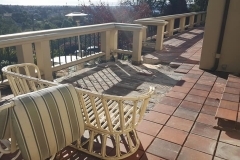 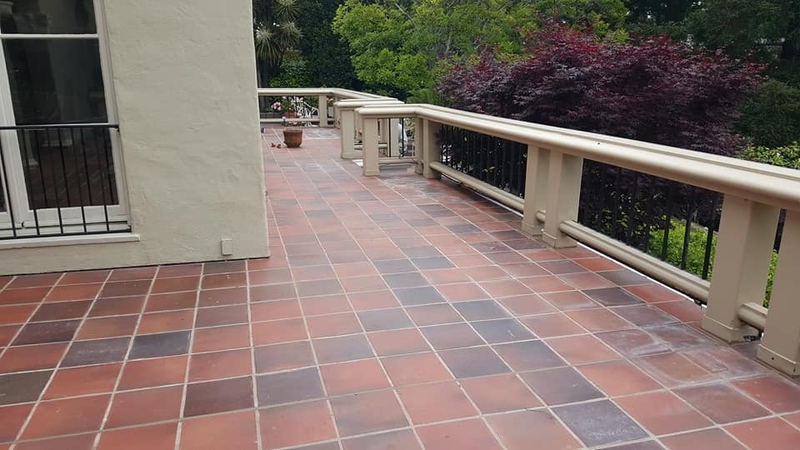 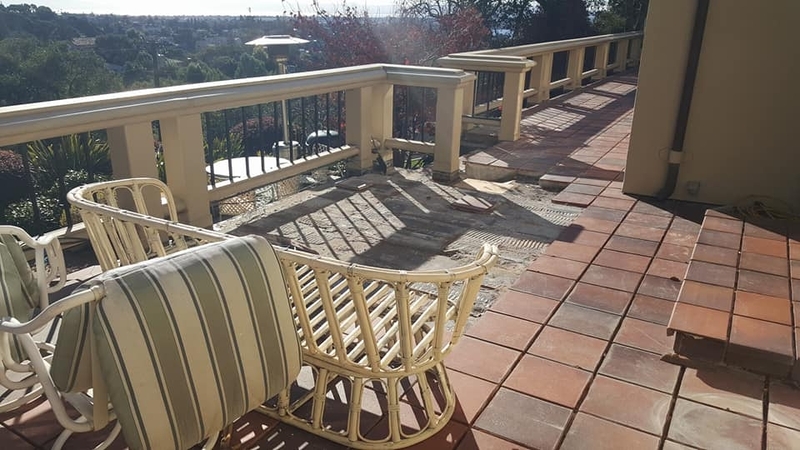 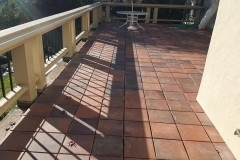 International Masonry Specialists was called to inspect this large and impressive patio in Oakland, CA and found widespread deterioration of the mortar joints in the tiles and damage to the under structure due to improper waterproofing. 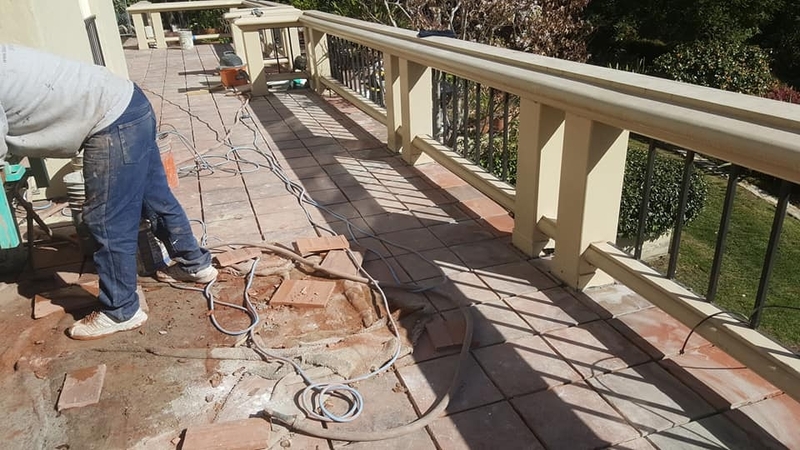 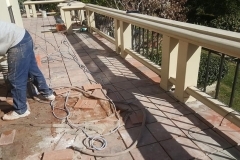 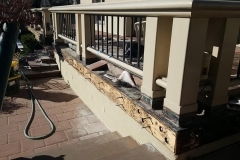 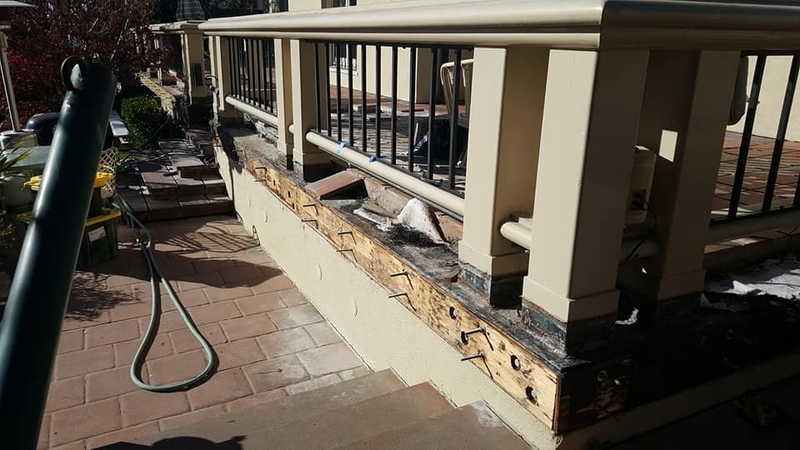 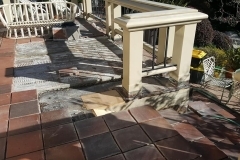 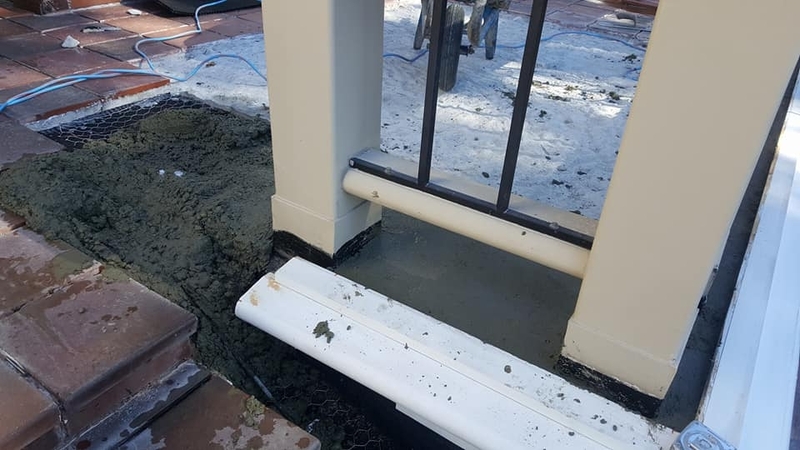 We removed the tile in the affected section of the patio and addressed the structure deterioration by repairing dry-rotted wood and laying in new waterproofing materials. 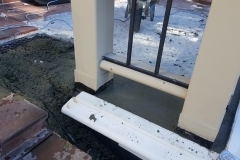 The area we were working in required special attention to drainage as rain had damaged the stairs at the corner. 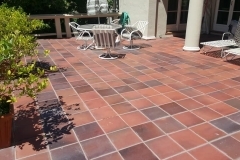 Once all of the preparation was done replacing, grouting, and sealing the tile followed. 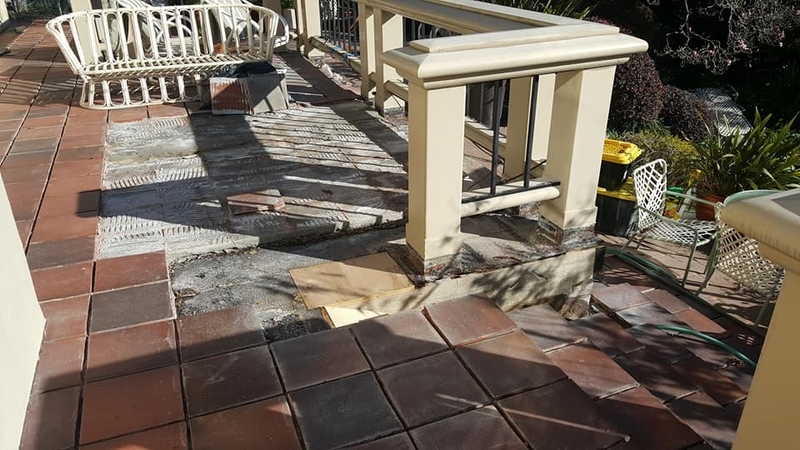 When we left the patio was good as new.